*Signs are made of .040 Heavy Gauge Aluminum. *All signs are printed on one side. *All signs are available as magnetic signs (please call for more information). 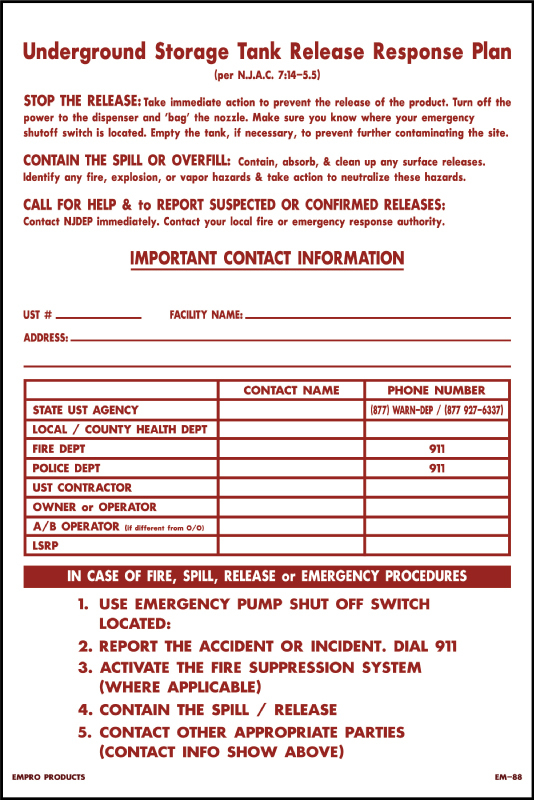 Underground Storage Tank Releae Response Plan. 1. Use Emergency Pump shut off switch. 2. Report the accident or incident. Dial 911. 5. Contact other appropriate parties.